I'm putting my Fashion Friday on hold this week because I need to brag about my hubby's sense of fashion! NOT! I'm actually bragging about his glory days in the town that Elvis built. 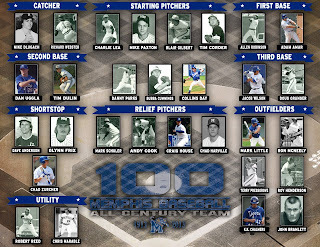 Yesterday, on the 100th anniversary of the first baseball game played at the University of Memphis, he was chosen to be on the All-Century Team. Here he is along side his former teammate and favorite left handed pitcher from Katy, Texas of all places, Collins Day and the other Tiger baseball greats. What an honor for him to be chosen. 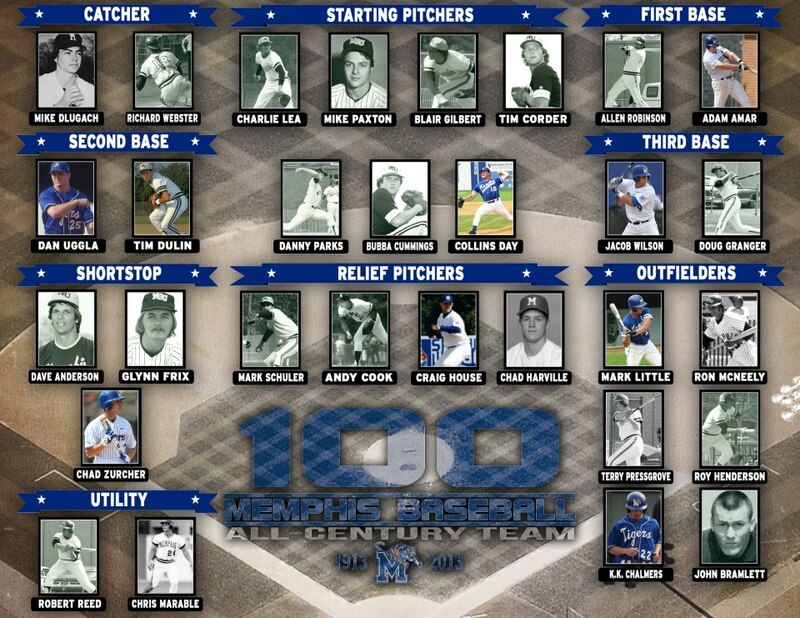 We're so proud of him and his accomplishments at Memphis during the 93 & 94 seasons. Yes he only played there two years, but he still holds the record for highest career batting average (.424) and 5 other single season records. The Kid could hit! Baseball sure has been a big part of our lives and continues to be with Jack loving the game the way he does. Wouldn't have it any other way. So with that being said... Charisa this is what we'll be toasting to tonight! That's a great reason to toast! Congrats to Mark! I think baseball is so close to our hearts because we were on the ride with you too. Whether it was watching games or even checking on your house in the middle of the night for burglars while you were away it always seemed like a family affair. Thanks for letting us hitch a ride! Celebrate tonight and have fun! Congratulations Mark!!!! That is so cool!!! So glad you took the time to brag on your hubs. He deserves it. I will add him to my "toasting" list tonight. Happy Friday!! !